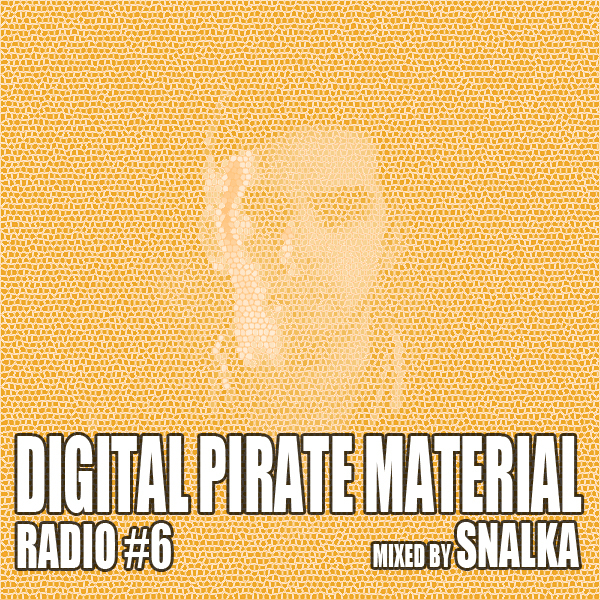 Immense house dpm mix brought to you by Snalka. This will get you moving. 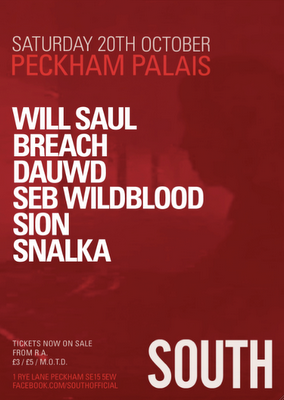 Catch Snalka on the awesome line up for South at Peckham Palais on Saturday 20th October. 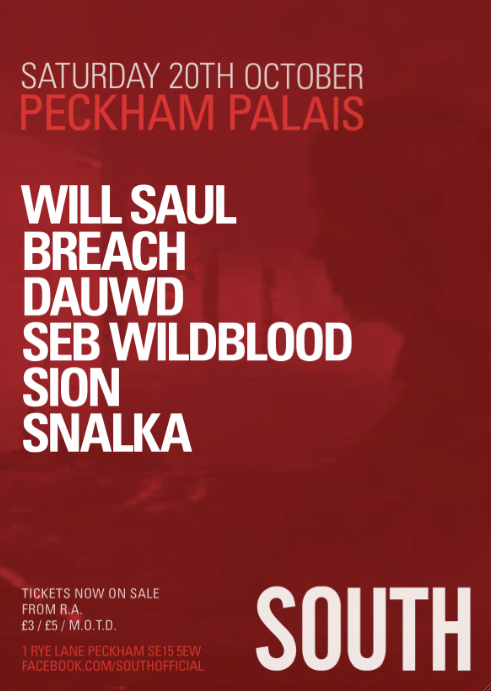 This comes after the pre-launch with Loefah, Randomer, Tessela and South's last party (their actual launch) with Boddika, Oneman, Micky Pearce, Eliphino and TOYC.